The Council is comprised of seven (7) members, six (6) of the positions serve a four-year term and one position is considered “At-Large” and serves a two-year term. The Council enacts legislation, sets policies, adopts the budget, and regulates the fiscal affairs of the City. Each Councilmember represents the City as a whole, and Councilmembers are also assigned to committees to assist in research and recommendations to the full Council. Please note: Councilmembers do not maintain office hours at City Hall. The City Council meets twice a month on the second and fourth Tuesday of each month, with a work session held on the third Tuesday. 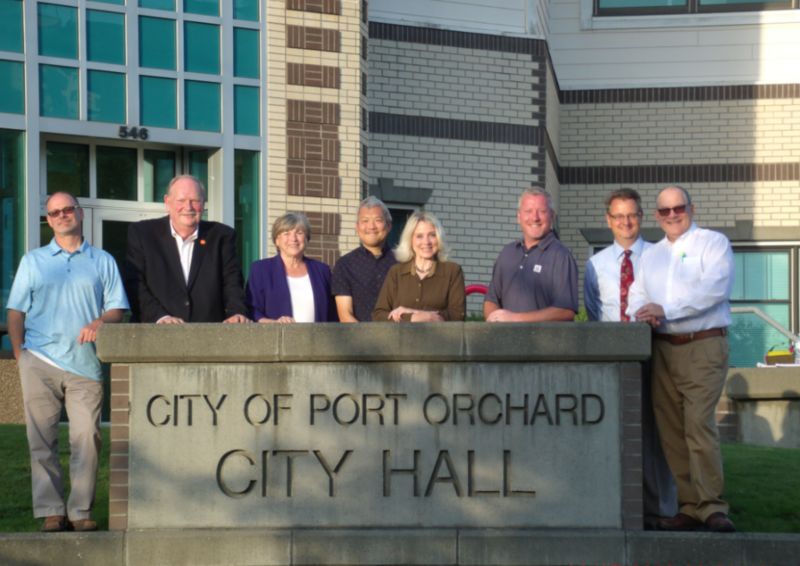 Council meetings begin at 6:30 p.m. in the Robert G. Geiger Council Chambers, 216 Prospect Street, Port Orchard, WA.